Vitrectomy is a type of eye surgery used to treat disorders of the retina (the light-sensing cells at the back of the eye) and vitreous (the clear gel-like substance inside the eye). It may be used to treat a severe eye injury, diabetic retinopathy, retinal detachments, macular pucker (wrinkling of the retina) and macular holes. During a vitrectomy operation, the surgeon makes tiny incisions in the sclera (the white part of the eye). Using a microscope to look inside the eye and microsurgical instruments, the surgeon removes the vitreous and repairs the retina through the tiny incisions. Repairs include removing scar tissue or a foreign object if present. 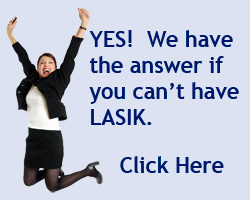 During the procedure, the retina may be treated with a laser to reduce future bleeding or to fix a tear in the retina. An air or gas bubble that slowly disappears on its own may be placed in the eye to help the retina remain in its proper position or a special fluid that is later removed may be injected into the vitreous cavity. Recovering from vitrectomy surgery may be uncomfortable but the procedure often improves or stabilizes vision. Once the blood- or debris-clouded vitreous is removed and replaced with a clear medium (often a saltwater solution), light rays can once again focus on the retina. Vision after surgery depends on how damaged the retina was before surgery.